Upon staff candidate's acceptance of the written offer you should begin the required background screening process. Staff new hire offer letter: Offer letter templates can be found on the Staff Recruitment website. Internal transfers/hires do not require a new screening. Criminal Background and/or MVR Screening must be completed PRIOR TO THE NEW EMPLOYEE START DATE. If the background screening is not completed and on record on their first day, the person is ineligible to start work. If you have questions about the process, please contact Human Resources at (585) 475-2424 or hr@rit.edu for clarification. If you are interested in hiring a candidate who is a foreign national, please refer to RIT’s policy on hiring foreign nationals. You will work with the HR Compliance Program Manager and RIT’s attorneys to complete the process. Please contact the Office of Staff Recruitment for assistance with reference check questions. Salary offers for prospective faculty or staff must be approved in advance by the appropriate Divisional Vice President or his or her delegate and the HRSM for the college/division, and staff recruiter for staff hires. NOTE: The faculty pre-offer form is required to be completed in Career Zone and sent to the Provost for approval with all supporting documentation. Once an offer has been made and accepted, and the background check has been cleared, the online Hire EAF should immediately be completed in the Career Zone system. Written documentation accompanying the EAF is required when the salary offer is higher than the approved budget figure on the requisition form. This documentation can be in the form of an e-mail and must address how the department will fund the gap between the budgeted figure and salary offer. The offer letter is required for all regular hires, including internal transfers. Offer Letters can be sent out once the background check has cleared (for external hires or department specific transfers). If no background check is required, then the offer letter can be sent to the candidate. It can be sent via regular US Mail or email. Once the letter has been generated, a copy must be sent to your recruiter as part of the employment file. The offer letter should reflect the terms and conditions that were negotiated with the successful candidate so that both the department and Human Resources has documentation. The only departmental signature required on the offer letter is that of the hiring manager. If you would like, you can contact your recruiter to review the letter prior to sending it out. As a courtesy to internal RIT applicants in your pool, if they are not selected for the job, please contact them via email or phone in addition to just updating their status in Career Zone. You will need to update your applicants' statuses as they move through the recruitment process. In addition, each unsuccessful candidate should also be assigned a final status and a rejection reason. This process is required by federal regulations. For detailed procedures on how to disposition your candidates, please refer to the Career Zone Applicant Dispositioning Guide. Final dispositioned applicants will only see their status changed from “active” to “application no longer being considered." They will not see the detailed non-selection reason and they will not receive a notification that their status changed. Applicants wanting to see their current status can log in to the Talent Gateway and review their job submission status. If a candidate is deemed to not meet minimum qualifications for the job, you must change their status early in the recruitment process rather than wait until the end. This will prevent the applicant from wondering if they are still being considered. All interviewed candidates should receive an email, letter or phone call. Changing the status in Career Zone does not automatically send an email. It is also important that you complete the pop-up disposition reason form when you move a candidate to a final status. While it is important to update each applicant’s status in Career Zone, out of respect for applicants that were called in for an interview, they should be personally contacted via email, letter or phone call. The Career Zone Requisition and Applicant Management System has many communication email templates that can be used to send to single or multiple applicants as one time. Refer to the Applicant Quick Start Review Guide. The Human Resources information system is the launching process for many other systems as RIT. To minimize stress and to be sure your new hire is fully ready to go on their first day of the job, please do not delay in completing your new hire forms. All hires on "do not post" requisitions need to complete a talent profile in Career Zone. 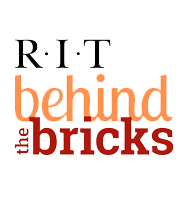 Talent profiles can be completed by going to the correct talent gateway at http://careers.rit.edu and clicking on the "Submit Resume/CV" link.